Turn heads with healthy + stylish hair. We place a huge emphasis on continued education, staying on top of trends, and keeping our skills sharp. What better way to show off your personality than with a fashionable haircut, style, and color? 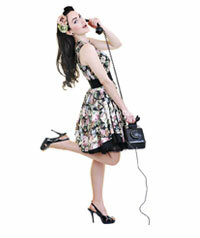 Our stylists create hairstyles that complement YOU, and still reflect today’s modern trends. 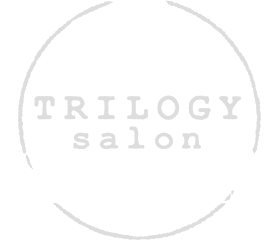 You can't go wrong with Trilogy Salon. The key to a great haircut starts with open communication between you and your stylist. Your facial shape, hair texture and thickness, and many other details are considered as we carefully create a cut + style that is designed especially for you. Going lavender? Getting a gloss? Covering some grey? Create a whole new look for your hair with dynamic color, or make a subtle change by adding highlights. The stylists at Trilogy Salon are Redken Certified Haircolorists, using top-of-the-line coloring products and techniques to create healthy and gorgeous hair. We know battling your hair each morning is not an option. We have the answer to your daily styling dilemma - a customized Brazilian Blowout. These treatments actually improve the condition of the hair, and the end result is smooth, frizz-free hair with radiant shine! Get the results you are looking for with Trilogy Salon's selection of Redken product lines. We feature solutions for: dry+damaged hair, fine+thinning hair, hair breakage, curly+wavy hair, color treated hair, smooth hair, improved volume+thickness, and more! Select a service tab below to view our comprehensive list of services and prices. All of our services include a professional, thorough consultation, scalp or hand massage, customized cleanse and condition, and finish out and style. This service includes a shampoo, conditioning, and a blow out with moderate styling. This service includes a shampoo with scalp massage and style. This service is when the hair is shampooed, conditioned and includes a blow out with moderate styling. *Styles requiring longer then 30 minutes will be considered Special Occasion Styles and will be charged accordingly. This service is when highly detailed iron work and styling is applied to the hair. *Please make sure hair is relatively clean and totally dry *additional cost for shampoo and blow out. All prices are a starting base rate and are subject to change at the time of appointment depending on the needs of the client and use of product. Consultations are free and offered before booking an appointment. This service is when the new growth of your hair is colored. This service is when color is applied to your hair to add shine, diminish tones. This service is when the hair is highlighted or lowlighted with the use of foil in all sections of the head. This service is when the hair is highlighted or lowlighted with the use of foil just around the face. This service is when the hair is highlighted and lowlighted with the use of foil. This service is when color is applied from new growth to ends and a full head foil is included. Lighten or brighten with highlights or lowlights using a foil free technique. This is when an additional color is added. It could be an extra highlight or lowlight. Professional split end correction is a dual action treatment performed in salon to repair split/broken hair, help prevent future damage and, when used as a cutting lotion, reduces blade friction to seal and prolong precision cuts. A hairstyle produced by setting the hair in perm rods and then treating it with chemicals so that the style lasts for several months. *Some hair types require additional time and product, such as thicker, longer or textured. In these instances the appointment must be scheduled for additional time and will be reflected in the price. We understand that schedules change and you may need to make an adjustment to your appointment time. Please give us at least 24 hours notice for all reschedules or cancellations. We'll remind you about your appointment with both an e-mail and/or phone call a few days in advance because we know how easy it can be to forget. When you cancel your appointment without sufficient notice we miss the opportunity to offer that appointment time to another client. Same-day cancellations will result in a charge equal to 50% of the reserved service amount. Failure to show up for appointment will result in 100% charge of the reserved service amount. If you are running late, please let us know and we will do our best to accommodate you. If you are more than 15 minutes late for your appointment, we may not be able to provide the scheduled service and the cancellation fee may apply. If you are not 100% satisfied with the results of your service please contact us via phone immediately. You must notify us within 3 days of your appointment and return within 10 days for a service adjustment. Why so quickly? The results of a hair color service can be altered with just a few washes with the wrong shampoo! We do not offer redo's for color correction services. Thank you for your consideration and understanding. Suggestions are always welcome. Are you in love with your recent color and cut? Be sure to tag us so we can keep up with your FAB look. Pair your hair service with a nail treatment and/or wax to complete your look!